After becoming a mom, I realized that the world of toys and books is a vast one. I searched for products and companies that aimed to enrich my daughter’s learning experience in a unique way, and that’s when I stumbled upon these 5 companies for kids that every parent and teacher should know about! I hope you enjoy these fantastic companies as much as I did! This is such an awesome concept! Raddish essentially provides children education through food and cooking. They currently offer 4 cooking kits, with experiences which include Art, Chemistry, & international cuisine. Their kits include recipe and creativity cards, table talk starters and more. What’s so great about this idea is that it provides a wonderful bonding experience between parents and their kids, which ends in one of the most universal forms of relationship building…feasting together! Shipping available to both the US & Canada. When I stumbled upon Seedling some months ago, I was so impressed! This fun company sells kits filled with all the components kids will need to create their own toys and masterpieces. Some of their best sellers include: “Design your own superhero cape”, “Create your own dragon”, and “Make your own snow globe” (to name a few). I truly believe that kids will value their belongings more if they have a part in creating them. These products present kids with 3 dimensions: 1. create, 2. play, 3. appreciate the value of effort. Their items vary in prices ranging from $0.99-$49.99. If you’re interested in children’s books, you’ve probably heard of Chronicle Books. They’re the publisher of amazing titles such as “Goodnight, Goodnight, Construction Site”, “I Wish You More” and “Press Here”. What I love most, is that Chronicle is dedicated to providing kids with a diverse selection of reading materials, and they accept writing submissions from virtually any author with a unique story to tell. If you haven’t already stumbled upon their amazing selection, you should definitely take a look! Available directly on their site, or Amazon. Building with Science, Technology, Engineering & Math! Roominate is a fantastic brand which offers kids the unique opportunity to build amazing designs. Their goal is mainly to encourage young girls (and boys) to pursue interests in Science, Technology, Engineering and Math. They offer sets that allow kids to build amusement parks, RVs, and townhouses. It’s really cool, because kids actually create using circuits, motors, lights and other exciting tools. The best thing though: if you download the Roominate app, kids can remote control their creations to fly, spin or do whatever they’ve programmed them to do. Isn’t that exciting?! Currently, they only ship to customers in the US. However, they are available in some Canadian Indigo and Scholar’s Choice locations. 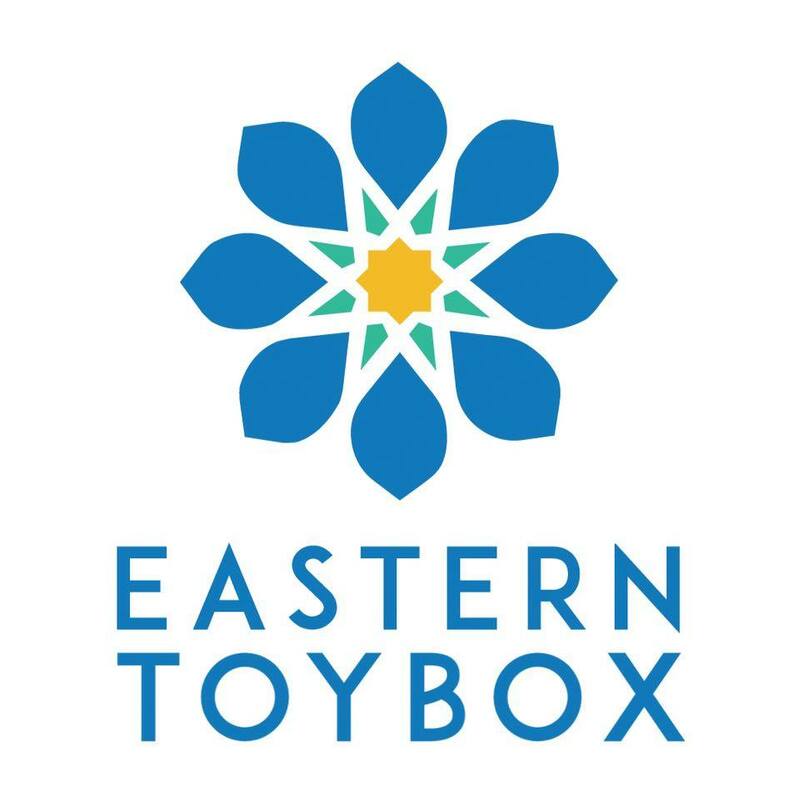 If you’re interested in exposing your children or students to a diverse set of toys, ranging in cultural inspirations, Eastern Toybox is definitely for you. This unique online children’s boutique specializes in quality toys, with an Eastern flare. Not only that, but they feature eco-friendly, fair-trade and handmade products! Some of their creative products include: a wooden stacking mosque, nesting dolls, noah’s ark set and a some wonderful books. They are about to relaunch their online presence so be sure to keep updated with their progress, they have some amazing stuff in store! What are your favorite children’s companies?